CHI St. Luke’s Health-Memorial Livingston Now Seeing Patients in New Emergency Department, LIVINGSTON, November 30, 2017 - CHI St. Luke’s Health-Memorial Livingston’s new 23,500-square-foot Emergency Department is officially open. The $10 million facility welcomed its first patients Monday morning after nearly two years of construction. The CHI St. Luke’s Health-Memorial Livingston Emergency Department (ED) saw 88 patients Monday. 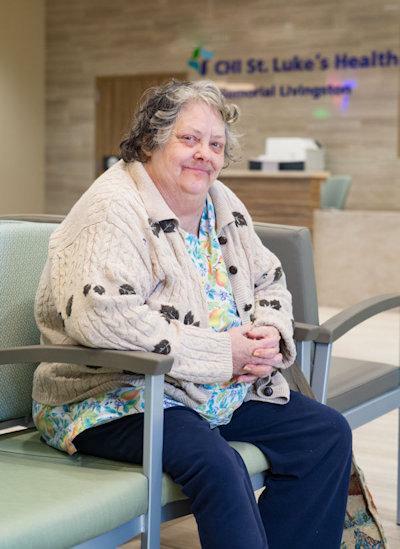 The first patient in the new space was 63-year-old Livingston resident Rita Milton who was experiencing an elevated heart rate. Milton said she was very impressed with the new ED. The new space includes 16 exam rooms, 3 trauma bays, and adjacent radiology, ultrasound and CT rooms. The ED also has designated areas for disaster response and decontamination. The large front waiting room includes a children’s nook with kid-sized furniture and activities. Every detail was well thought out and the large area provides plenty of room for future growth, Froese said. Members of the CHI St. Luke’s Health leadership team, Board of Directors and Livingston Advisory Council officially broke ground on the Level IV Trauma-designated Emergency Department in April 2016. The hospital welcomed community leaders to an open house event on November 13 and provided tours through the ED. Click Here to Visit CHI, Livingston Online!